If you roam around the world have the issue of connectivity of internet then we have some great news for you. Google said Wednesday it was expanding its "virtual" telecommunication service that was limited to select Android-powered smartphones to a wider range of devices, including iPhones. Freshly renamed "Google Fi" service aims to take on traditional carriers by letting people pay based on how much data they use and roam internationally. Fi was limited to newer Pixel handsets made by Google and a few Android-powered smartphones made by other companies because devices need to be able to hop between carriers whose infrastructures are used to provide service on the "virtual" network. Fi "intelligently" shifts smartphone service between Sprint, T-Mobile, US Cellular, and Wi-Fi hotspots to provide optimal signals, according to Google. "Our plan now works with the majority of Android devices and iPhones," Fi director Simon Arscott said in a blog post. Fi plans in the US offer unlimited domestic call and texts, plus texting internationally, for $20 monthly. Data costs $10 per gigabyte with a maximum data charge of $60 for an individual user, according to the Fi website. 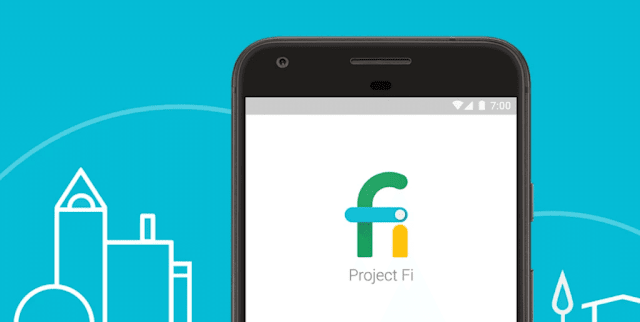 "When we launched Project Fi in 2015, we set out to make your wireless experience fast, easy and fair," Arscott said. "We're proud that we've achieved a customer satisfaction score of over 90 percent." Since smartphones need the proper hardware and software to jump between networks and wi-fi for the "full Google Fi experience," some features may be lacking for iPhones and other handsets that can now access the service but were not designed for it. Google said the service allows people to use their devices for data in 170 countries and territories under agreements with carriers in those locations. Earlier OnePlus has also introduced OnePlus Roaming for their OnePlus 6 users in Beta version of the software update. With this development company might launch the device with Google Fi.